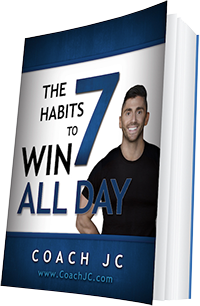 Today’s WINNING recipe to meet Coach JC’s 10 WINNING Habits is Sea Salt and Garlic Kale Chips. Where are my veggies? Wash and dry kale making sure leaves are completely dry. If there is any moisture you will end up with soggy chips. Rip the leaves off the stems and away from the chewy veins of the kale and into chip-sized pieces. Arrange the pieces of kale on an unlined baking sheet. Drizzle the oil as evenly over the kale as possible. Using your hands, gently massage the oil into the kale leaves, making sure to massage the oil well into all the folds and onto the entire surface of each of the kale leaves. It only takes a little oil. Now sprinkle a pinch or two of sea salt and a pinch of garlic powder over the kale and add pan to your preheated oven. Bake 10 minutes. Rotate the pan, flipping any pieces that are starting to look crispy and bake for another 10-15 minutes, watching the pan closely for the last 7-8 minutes to prevent over browning. 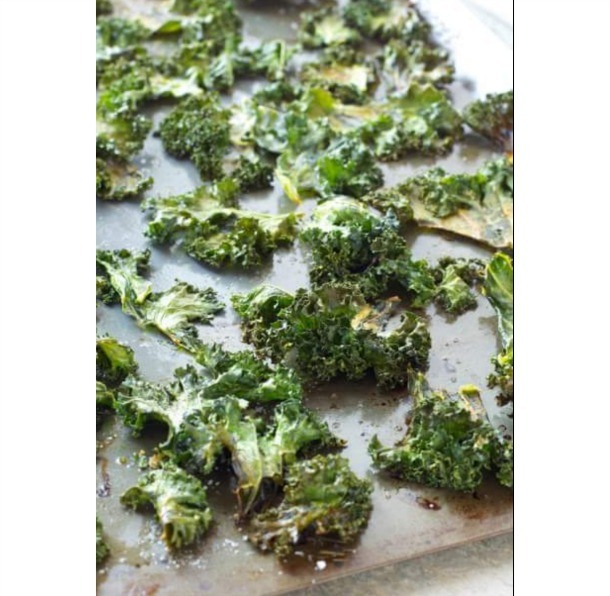 Remove the pan from the oven and leave the kale chips on the pan for 3-5 minutes before serving so they can crisp up even more.